Fitness Mad Neoprene Dumbbells are perfect for aerobic and fitness training. Two flattened sides to stop them from rolling away. 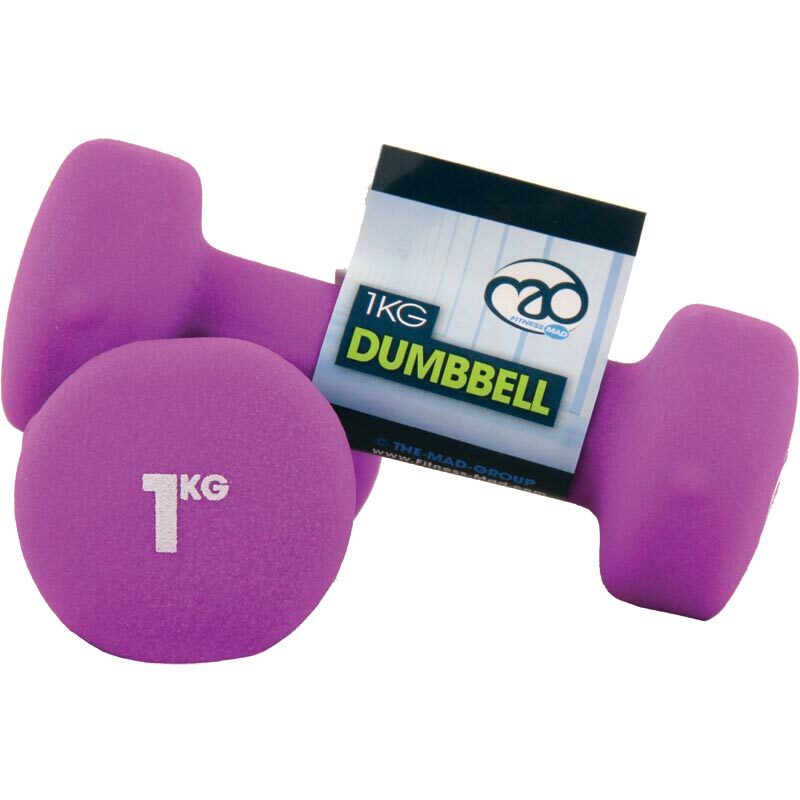 Available in seven different weights from 0.5kg through to 5kg. Each weight is a different colour for easier identification. Two sets of dumbbells arrived , safely packed in cardboard )good, as it can be composted), and are exactly as described. Good value for money. This item was well worth the price I would recommend them to all to friends & family.I am feeling the benefits already. 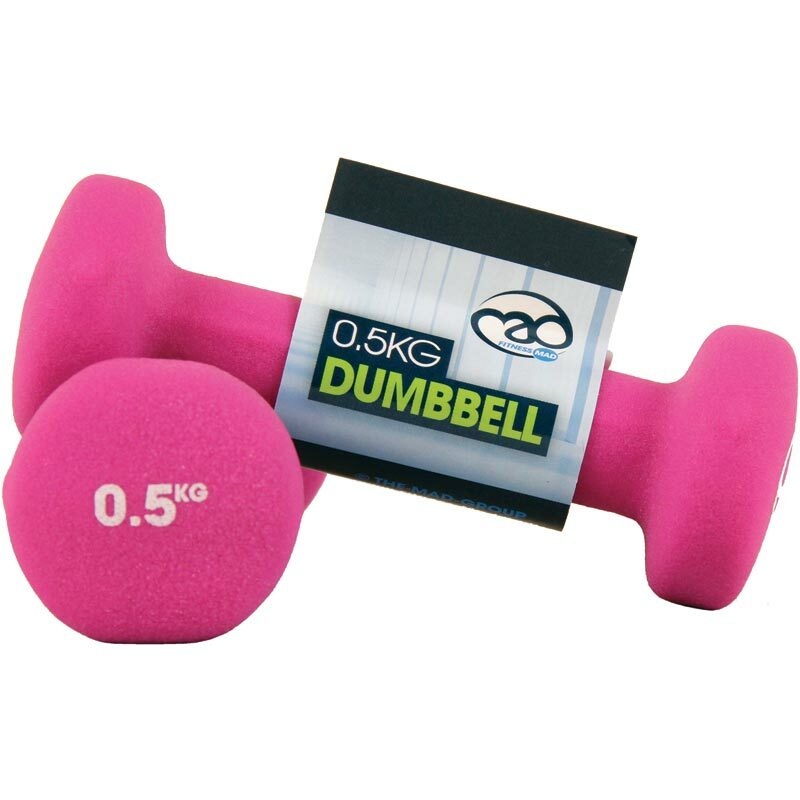 I bought 6:7 of the available dumbells (all except for 1.5 kg); they're decent quality and nice colours. Very pleased with purchase and speedy service by Newittd. 5 out of 5 Comfortable and pretty! Nice to hold, like the feel of the neoprene and love the colour which helps motivate me to use them. Great idea with the flattened edges to stop them rolling away. Quick delivery, only drawback was one was slightly damaged on arrival, but otherwise a very good purchase. The dumbbells have been great to start building fitness levels gradually. Almost ready for the next weight up. Speedy delivery too. 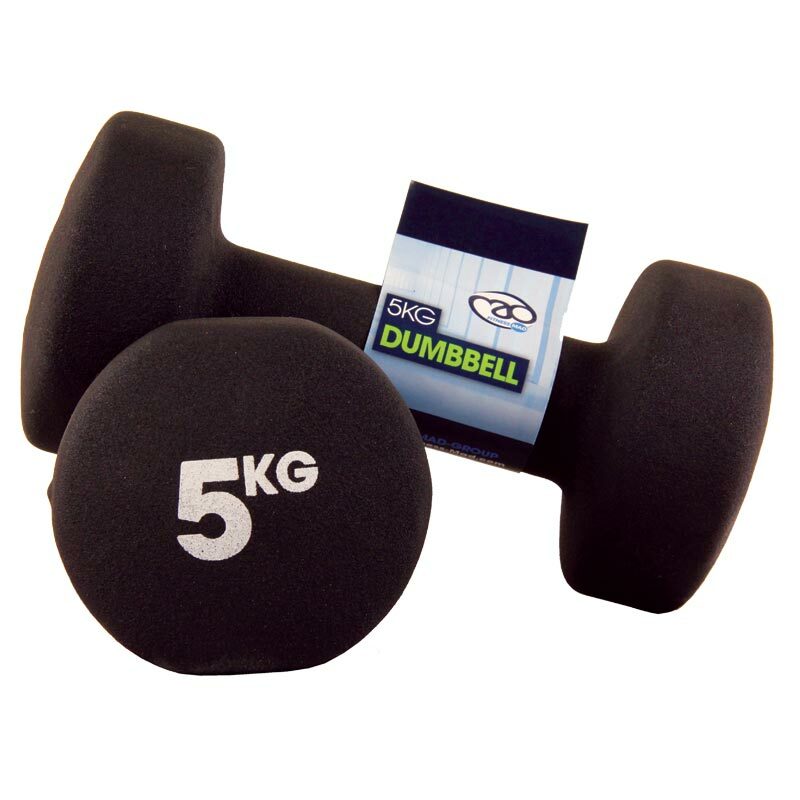 Bought the full range of Neoprene Dumbbells and they are excellent. Nice feel when using and easy to store. Great service from Newitts. 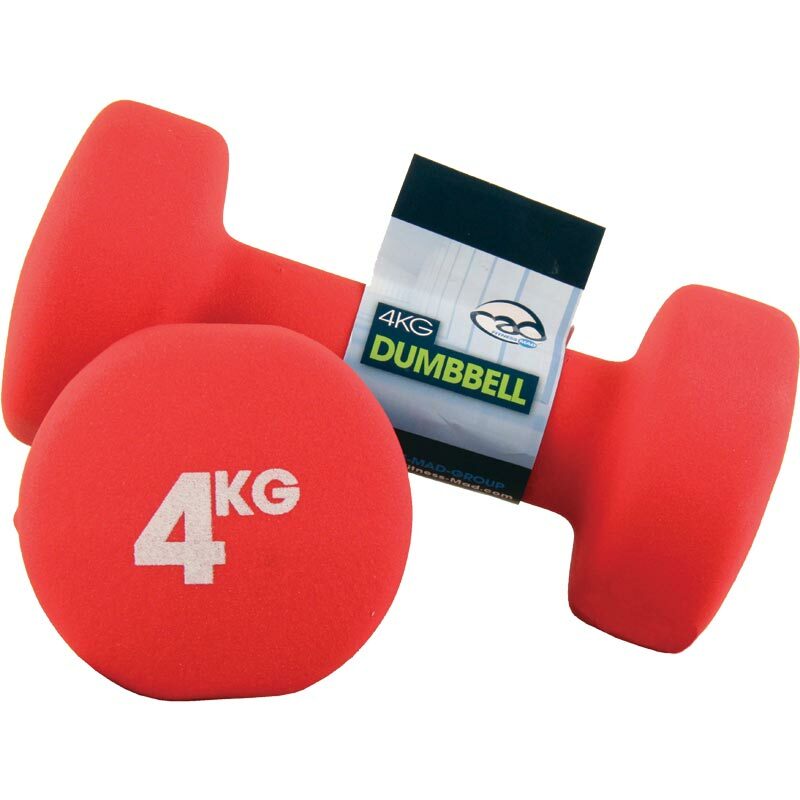 I am delighted with the quality of all Fitness Mad products, particularly the dumbbells. I have them in various sizes. The non-slip coating ensures good grip. What more can I say? 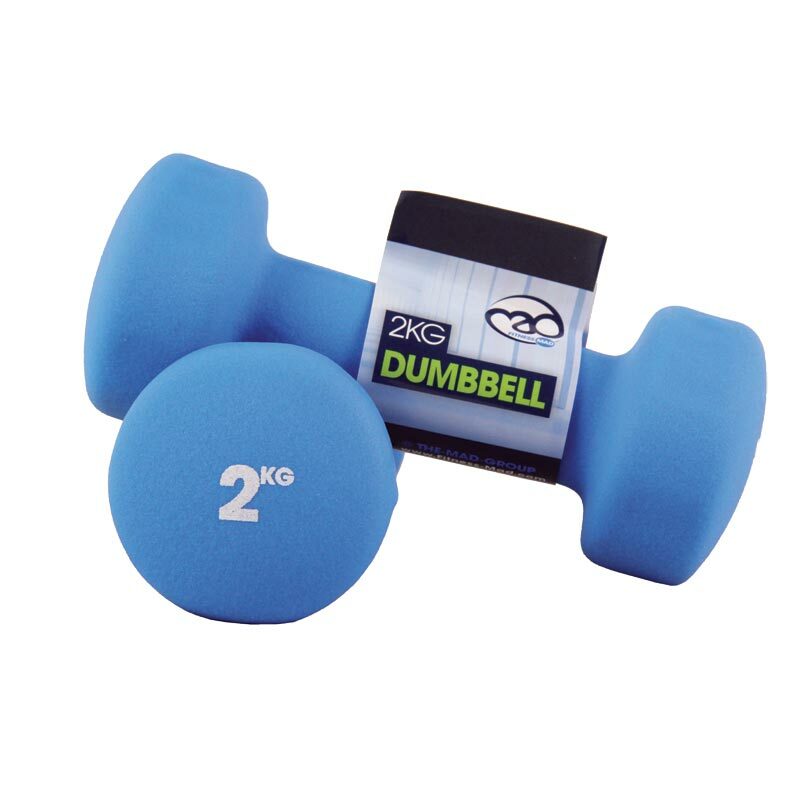 Exellent Neoprene Dumbells. they helped me to get in shape agin. They feel great and the different colours keeps you motivated to shange. 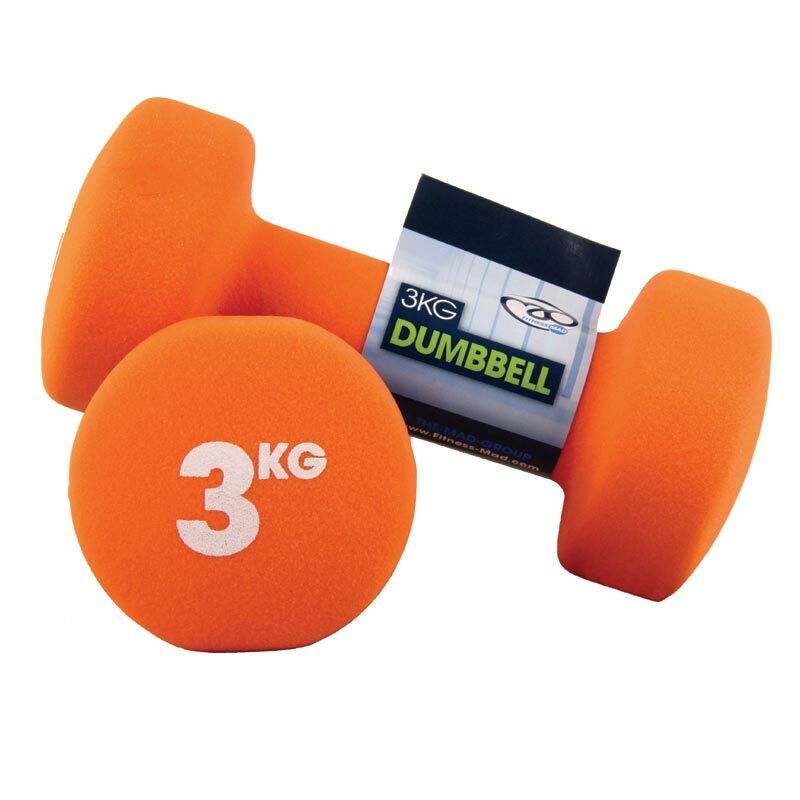 I have lost 10 Kilo's so far with the help of this dumbells my arms, shoulders are in great shape.